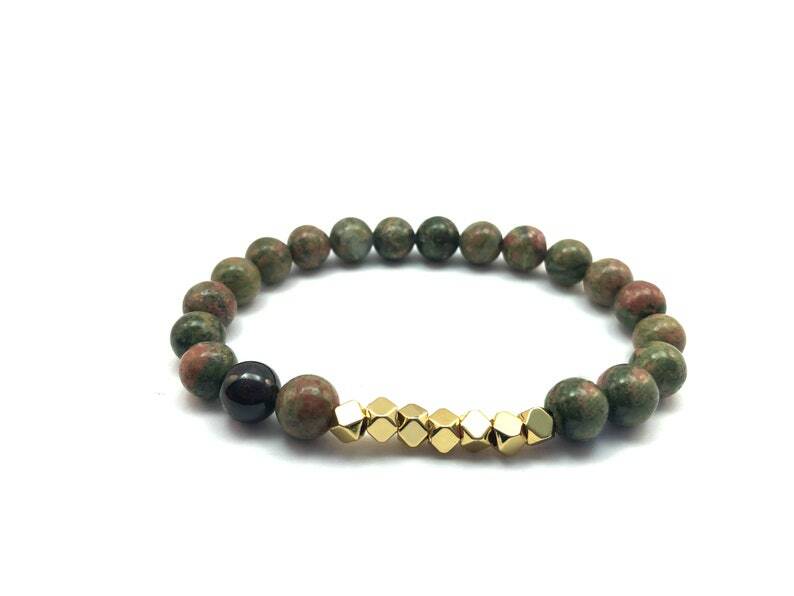 This trendy bracelet is made of stones that will help with intentions of Balance and calm. It is also great for intentions of fertility and pregnancy which makes it a great gift expecting moms or IVF support. It is an Eart Star Chakra bracelet. Check the Gemstone Intentions section for more. - Unakite: great stone to balance both spiritual and emotional. It is the pregnancy stone of choice also called the stone of life. It helps to achieve a state of calm. Heart Chakra stone that's also great to support the Third Eye Chakra which enhances intuition.